If you’ve dreamed of standing at the foot of the great pyramids, now is the time to escape to Egypt. 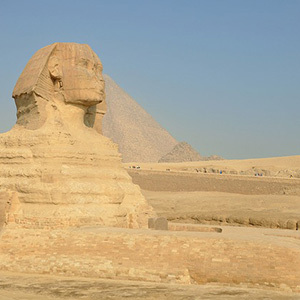 Peruse the treasures of King Tutankhamun in Cairo, and answer the riddle of the Sphinx at the Great Pyramids of Giza. 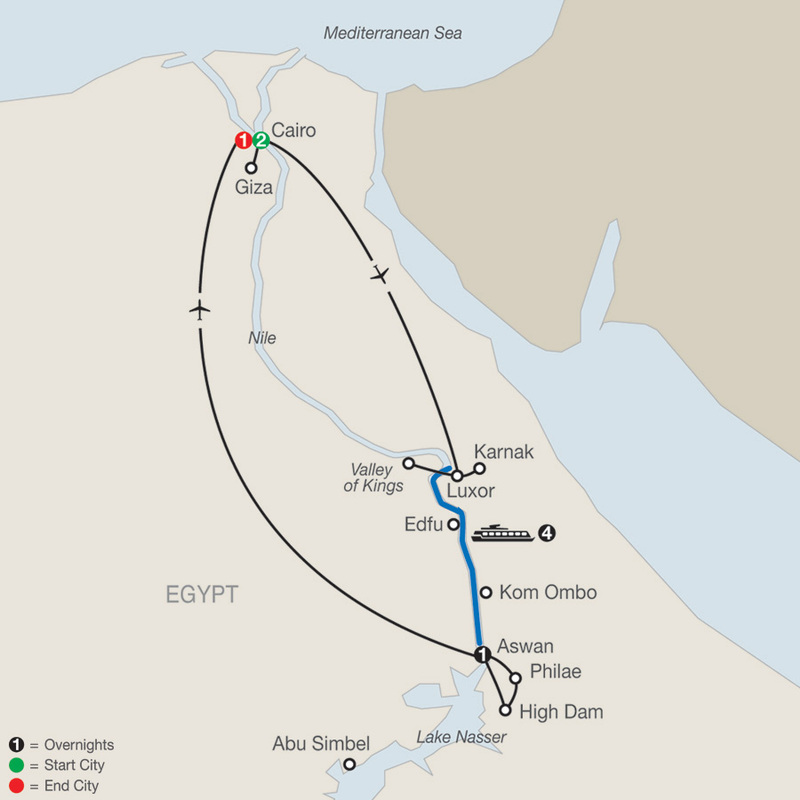 Fly to Luxor and embark on a Nile River cruise. You’ll visit the Karnak and Luxor Temples, and join in guided sightseeing at the Valley of the Kings and Queens on the Nile’s West Bank-site of noble crypts where the pharaohs rest in splendor in the cliff sides. Visit the Temple of Horus with its menacing black stone falcon statue, built 2,000 years ago during the age of Cleopatra. You’ll see fascinating sights before your Nile River cruise is complete, including a bluff-top temple to worship crocodile and falcon gods, the unfinished obelisk of the granite quarries of Aswan, and the Temple of Isis recovered from the submerged island of Philae. Take an excursion on a Felucca sail boat for a view of Kitchener’s Island and the mausoleum of Aga Khan. Fly back to Cairo and conclude your vacation with a farewell dinner to celebrate your guided tour of Egypt.